In principle, brain chips could boost soldiers’ cognitive and physical functions. 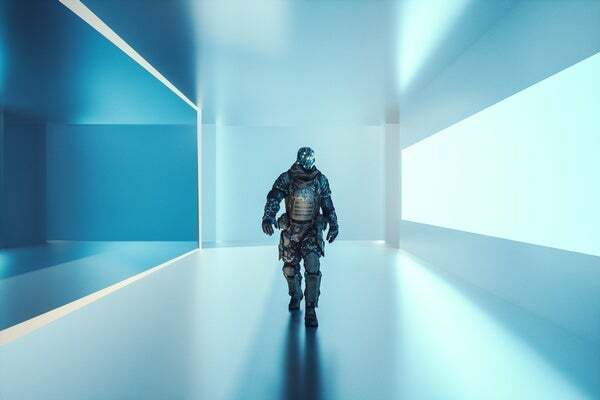 Soldiers could control complex weapons systems with their thoughts, communicate telepathically with other soldiers and upload large databases instantly, like Neo in The Matrix. Minds containing brain chips can also be read and controlled by others. Again, in principle. Khatchadourian also details how research on brain chips has been militarized. Before Scheuerman’s implant was removed, another Darpa contractor, the Applied Physics Laboratory at Johns Hopkins, carried out experiments in which she controlled an F-35 flight simulator with her thoughts. Thrilled by that demonstration, Darpa ordered more flight-simulation research. Schwartz was reluctant to participate in these experiments, which he saw as stunts with little medical justification. He and Darpa parted ways. Darpa is continuing to fund a program, Mind Flight, in which patients control one or more drones via brain implants. Khatchadourian raises the possibility that brain chips can be used to control as well as empower implantees. He quotes a Scientific American article I wrote about brain-chip pioneer Jose Delgado, who demonstrated more than a half century ago that he could manipulate patients’ limbs and emotions via implants. Another researcher, Robert Heath of Tulane, claimed in 1972 that he had used a brain chip to make a gay man sexually responsive to a woman. I’m skeptical of much of the hype about brain-machine interfaces, and especially memory prostheses, as articles in Further Reading indicate. Scientists still know little about how the brain encodes information. Attempts to use brain implants to treat depression and other psychiatric disorders has been disappointing. Second-rate researchers have conned second-rate Pentagon program managers into believing that science-fiction applications are imminent. That’s what I suspect, and hope. But breakthroughs that make bionic solders possible could be around the corner. Cochlear implants, which restore hearing to the deaf via electrodes implanted in auditory nerves, were thought to be impossible until they weren’t. Silicon Valley loves the idea of brain-machine interfaces. Facebook, Google and Elon Musk’s firm Neuralink are funding neurotechnology research and hiring former Darpa researchers to do it, according to Gross. Regina Dugan, a former Darpa director who has worked at Facebook and Google, has said that one goal is to allow consumers to type words into a computer simply by thinking, no hands required. Military officials are already envisioning how neurotechnologies will transform war. That brings me to an essay in New York Review of Books by historian Christopher Clark. He reviews The Future of War: A History, by military scholar Lawrence Freedman, and Future War: Preparing for the New Global Battlefield, by former Air Force Major General Robert Latiff. Yes, as my own surveys have shown, most people—scientists, scholars, politicians and soldiers as well as lay folk of all kinds—see war as inevitable and world peace as a pipe dream. I have tried, in vain, to counter this self-fulfilling fatalism in my book The End of War and on this blog (again, see below). Clark ends his review by asking, Where are the “prominent politicians” calling for war’s abolition? Good question. Here’s another: Where are the prominent scientists calling for war’s abolition—or, at the very least, for a moratorium on research that might trigger a terrible new arms race? Let’s hope we come to our senses before the era of cyborg warriors begins, because then it might be too late.